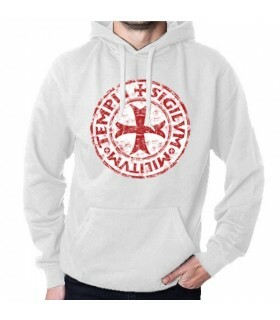 Sweatshirt Knights Templar Unisex for man/woman with hood and front pocket. Garnet Color. Cuffs and hems in rib 1x1 with elastane. Manufactured in high quality cotton. Suitable for washing machine. 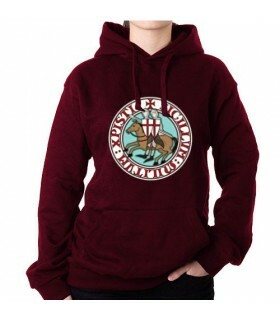 Sweatshirt Knights Templar Unisex for man/woman with hood and front pocket. Color white. Cuffs and hems in rib 1x1 with elastane. Manufactured in high quality cotton. Suitable for washing machine. 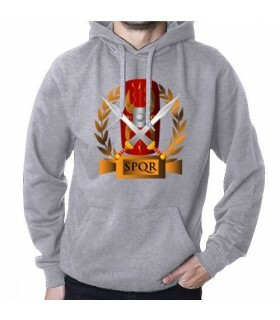 Sweatshirt Roman Legions, SPQR, Unisex for man/woman with hood and front pocket. Color white. Cuffs and hems in rib 1x1 with elastane. Manufactured in high quality cotton. Suitable for washing machine. 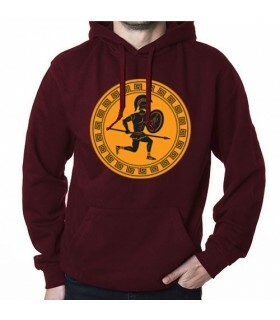 Sweatshirt Warrior Greek, Unisex for man/woman with hood and front pocket. Red wine Color. Cuffs and hems in rib 1x1 with elastane. Manufactured in high quality cotton. Suitable for washing machine. Sweatshirt Pirate in Green, Unisex for man/woman with hood and front pocket. Cuffs and hems in rib 1x1 with elastane. Manufactured in high quality cotton. Suitable for washing machine. 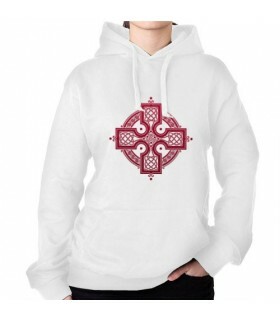 Sweatshirt Celtic with Trisqueta for man/woman with hood and front pocket. Color white. Cuffs and hems in rib 1x1 with elastane. Manufactured in high quality cotton. Suitable for washing machine.